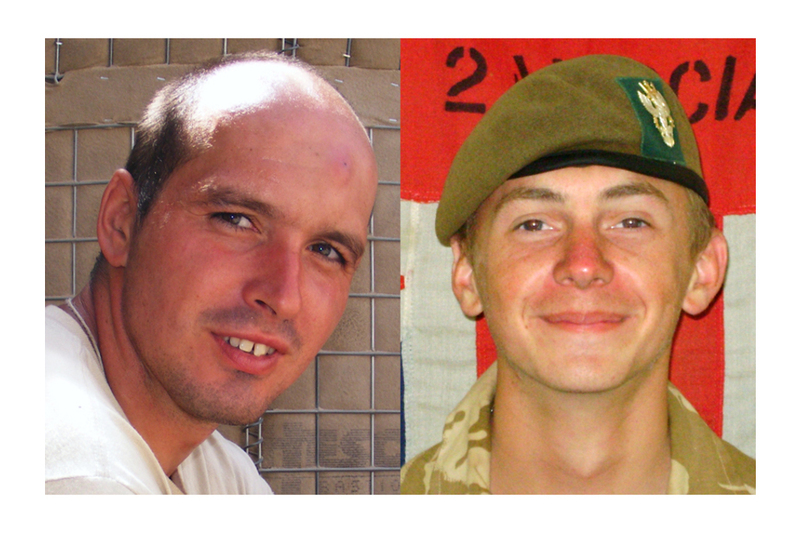 It is with deep regret that the Ministry of Defence must confirm that Lance Corporal David Dennis from The Light Dragoons and Private Robert Laws from 2nd Battalion The Mercian Regiment were killed in Afghanistan on 4 July 2009. Both soldiers died in separate incidents while taking part in Operation PANCHAI PALANG, an operation involving around 3,000 soldiers, to improve security in the area north of Lashkar Gah, clear the Babaji and Malgir areas of insurgents and restore government control before the national elections. Lance Corporal Dennis was killed by a contact explosion from an improvised explosive device whilst on foot. Private Laws was killed when the vehicle he was travelling in was hit by a rocket-propelled grenade. Lance Corporal David ‘Duke’ Dennis was serving with The Light Dragoons Battle Group, which had begun a clearance operation the previous day, at the time of his death. He had deployed as part of The Light Dragoons’ Command Troop and was responsible for ensuring radio communications for the Commanding Officer’s tactical headquarters, both on foot and on vehicles. 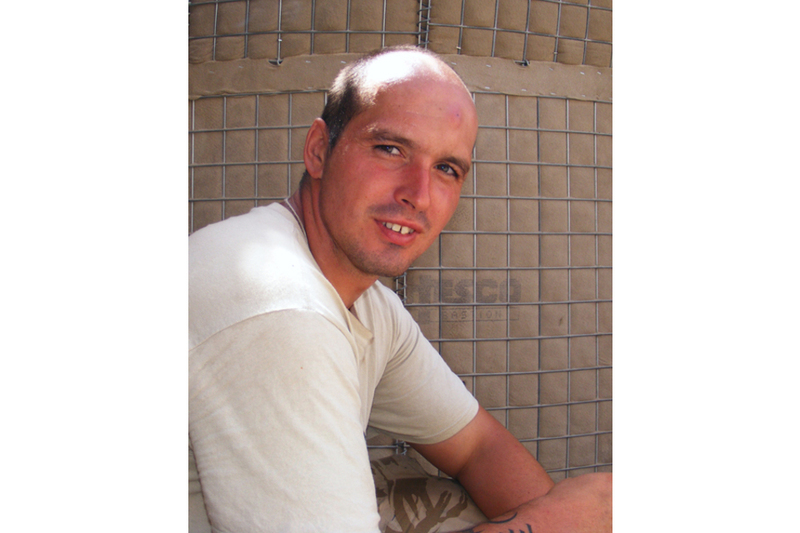 Having just helped to secure a helicopter landing site for the extraction of casualties from an earlier incident, Lance Corporal Dennis was amongst a group hit by an improvised explosive device, and sustained fatal injuries. Lance Corporal Dennis was born on 16 May 1980. He joined the Army on 14 February 2003 as a gunner in the Royal Artillery before joining The King’s Troop. Having served with the Gunners for just over two years, he was attached to The Light Dragoons for a six-month tour of Iraq in 2005. Having struck up strong friendships over the six months, he applied to transfer and joined the regiment in February 2006. Lance Corporal Dennis was on his second tour of Afghanistan. 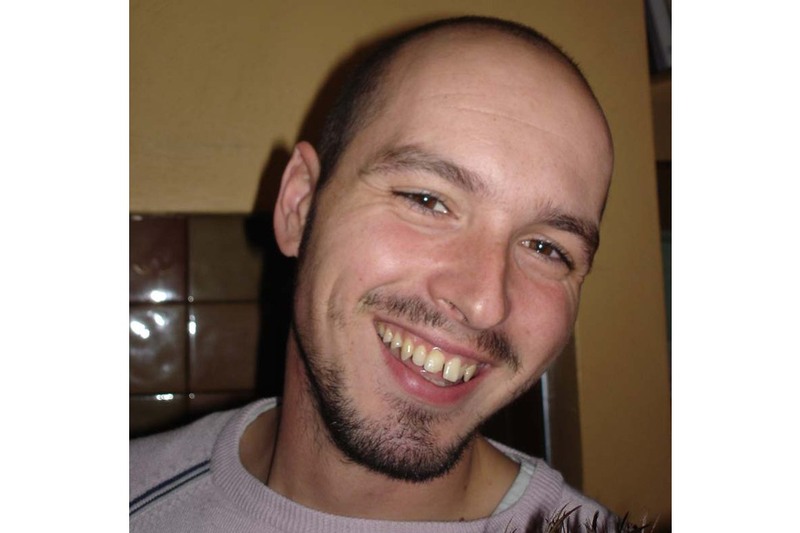 He leaves behind his mother Adele and his twin brother Gareth of Llanelli, his father Roger, step mother Helen and step brother Matthew of Port Talbot and his fiancee Lisa. Lance Corporal Dennis was a quietly spoken and popular soldier; fiercely loyal to his friends. He was known throughout the regiment simply as ‘Duke’ - a nickname of which he was hugely proud. He believed wholeheartedly in what he was doing and would always back himself to the hilt. Lance Corporal Dennis loved the banter that typifies Army life, and he could give as good as he got, though he had the character to laugh at himself as well. He loved the gym, and would jokingly show off his muscles at any opportunity. He took great pride in mentoring and looking after the junior members of his troop, and he would be one of the first they would turn to for advice and guidance. Ambitious and determined, Lance Corporal Dennis wanted to pursue the dismounted side of Formation Reconnaissance, and had volunteered to attend Junior Brecon on his return and wanted to serve in the Brigade Reconnaissance Force in the future. David was strong man and a courageous soldier who died doing a job that he loved. He was very proud to serve in The Light Dragoons and enjoyed life as a soldier which he lived to the full. We as a family are extremely proud and honoured to have been a part of his life and that pride extends to all of our young men and women serving overseas. David was everything a father could ask for in a son and I am incredibly proud of him. He wanted to join the Army from a young age and very quickly the Army became his second family. He was larger than life. Handsome, strong and someone you would want by your side when times got tough. The Army was his life and he had so many friends there that he loved so much. He crammed more into his 29 years than most people did in a lifetime. I was so pleased he decided to settle down when he met a wonderful girl Lisa and I was looking forward to sharing their future. We had all decided to celebrate New Year in New York and David bossed his stepmum Helen in every call from Afghanistan to organise our trip. He was deeply caring of his younger brother Matthew, 14, and even whilst in Afghanistan he wanted to know his exam results and told him to revise hard. He’ll be in my heart forever and life will never ever be the same again and our thoughts are with his comrades and pray they come home safely. Lance Corporal Dennis was one of a hugely talented generation of Light Dragoons. With tours of Afghanistan and Iraq behind him, he was experienced beyond his relatively junior years. Duke loved being in the regiment, and the regiment celebrated this popular, genuine and heartfelt soldier. If there is any consolation it is that he is reunited with his close friend Lance Corporal Nigel Moffett, whose death earlier in the tour had affected Lance Corporal Dennis greatly. My sincerest condolences go out to his mother Adele, his brother Gareth and his fiancee Lisa. We will remember Lance Corporal Dennis; we will be worthy of his memory; we will continue to take the fight to the enemy that has taken him from us. Duke was a quietly spoken Welshman who had no problems being the only Welshman in a regiment that recruits from the North East. It was a characteristic that immediately stood him out from his peers and ensured he got the recognition that he deserved. He was well known throughout the regiment and was a great asset to have on your side during squadron rugby matches, where he was unstoppable. He was a very capable small arms instructor, and was vital to making sure that the squadron was properly trained for deployment. During quiet periods he could often be found in the armoury checking that the squadron weapons were serviceable or otherwise in the gym improving on his already fearsome strength. Our thoughts go to his family and his fiancee Lisa, who he intended to marry on his return from Afghanistan. Duke will be surely missed by all of the regiment but will never be forgotten. Duke was a dedicated soldier and an absolute rock, who could be depended on no matter the circumstances. Nothing was ever too much trouble for him, whether it be at work or for his friends. He was an example to us all. Duke was a true Light Dragoon and personified everything that the regiment holds dear. He was utterly professional in all he did. He remained flexible and adaptable to whatever came his way, being equally at home in the turret of a CVR(T) [Combat Vehicle Reconnaissance (Tracked)], top gunning on a Mastiff or in the dismounted role. More than this though, he approached all he did with a desire to succeed. He was an excellent Junior NCO [Non-Commissioned Officer] who was always looking after the needs of others first. His loss is a huge blow to the troop. One of life’s real characters, he was fiercely proud of his Welsh roots. He was gregarious by nature, and always to be found in the thick of things. Duke’s sense of humour and his mischievous streak were well known to all. Whilst losing Duke has had a profound effect on his friends and colleagues alike, it is as nothing to the pain his family and friends will be feeling back home. My thoughts and prayers are with them all at this most dreadful of times. Duke was one of the most loved guys in the regiment, and a character that will never be replaced. He will be remembered by his friends as being totally devoted and utterly professional. He loved being a skill at arms instructor, and never stopped reminding us that he was one of the best there was. There was more to him than just soldiering though. We will remember him for looking like Freddie Mercury when he grew a moustache and his dodgy dress sense on nights out. No matter how outrageous the outfit, the Duke was always certain that he was the coolest guy out that night. Duke was a man that every soldier should aspire to be. He had it all. He was quick-thinking, hard-working, strong, selfless, courageous, and had a great sense of humour. Most of all he was well respected and loyal to all those around him. Our friend Duke will never be forgotten. Duke was one of the good guys in life who you could trust implicitly. I had the privilege to call him my friend ever since we first met in King’s Troop RHA [Royal Horse Artillery]. He was a warm and caring man with a large heart who would go out of his way to help anybody who asked. With his great sense of humour he was a joy to be around and could brighten up the dullest of days. He loved his job in The Light Dragoons and it was a pleasure to have served with him again. Rest in peace - I’ll miss you. Private Robert Laws, aged 18, joined 2nd Battalion The Mercian Regiment (Worcesters and Foresters) [2 MERCIAN] during Op HERRICK 10. His basic training started at the Army Foundation College, Harrogate, which prepares young men for the rigours of the Infantry Training Centre in Catterick. After completing the Combat Infantryman’s Course in March of this year he passed off the square at Catterick and deployed to Helmand province to join B Company. Known to friends as Robbie, Private Laws was killed alongside his mates in B Company while they were operating under command of The Light Dragoons Battle Group during Operation PANCHAI PALANG. Private Laws, from Bromsgrove in Worcestershire, was a popular member of his platoon during training and achieved ‘Best Shot’ on the Light Machine Gun. When Robbie arrived at 2 MERCIAN he quickly became known for his mischievous sense of humour and a cheeky wit which endeared him well to his Platoon Sergeant. To undertake basic training and be on the front line in Afghanistan within a year is a tremendous undertaking, especially for someone who is 18 years old. Private Laws rose to this challenge by embracing all the best qualities of being a soldier: ability to adapt and learn; strength of character; and determination. The parents and close family are immensely proud of their popular and loving son. They would like to thank all their friends for their loving support at this very difficult time. Robbie only joined 2 MERCIAN (Worcesters and Foresters) a very short time ago but had already begun to make his mark. He was excited and eager to deploy to Afghanistan and this only a few days after his 18th birthday. He was a warm and cheerful young man who mucked in when there was work to be done and quickly made friends. Robbie’s falling has taken a good soldier from us; a man who was not afraid to move forward, endure hardship, and he had the courage to fight the enemy alongside his brothers. Robbie died alongside his mates in B Company, 2 MERCIAN, and his death has rocked them - they will hold him in their hearts as they fight on. The entire regiment’s prayers are with Robbie’s family who are devastated by his loss. Private Laws had only been in the Battle Group a short time, but had already made an impression on his company as a bright, keen and enthusiastic soldier. He died going forward, taking the fight to the enemy and helping to free the local population from the tyranny of the insurgents. His loss is felt deeply through the whole Battle Group, and we will ensure that he is not forgotten. 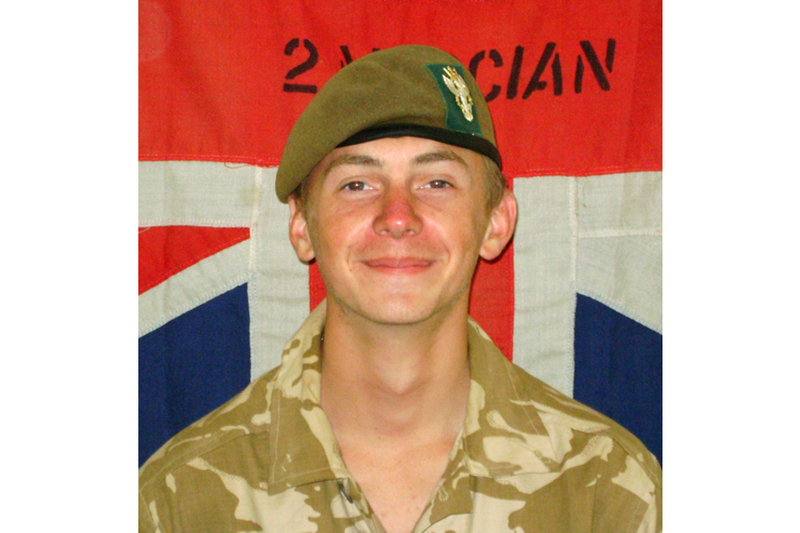 Private Robbie Laws joined B Company on the front line south of Garmsir, a town in Helmand province. From the outset he settled well into the platoon and became known for his mischievous sense of humour. Robbie showed great potential during his short time with B Company. My thoughts go out to his family and friends at this very sad and difficult time. Private Laws developed noticeably throughout his time with Anzio Company. Although initially of a quiet nature he became popular and influential with his platoon as his ability developed. Excelling in shooting for a soldier of a slight build, he was commended for achieving the award of ‘Best Shot’ on the Light Machine Gun. Private Laws was the epitome of a recruit whose heart was set on a military path. It was a childhood dream that he could see developing steadily in front of him; he achieved his ambition of joining his chosen battalion. He is remembered by all the military and civilian staff within Anzio Company for his quiet but determined nature. Private Robert ‘Robbie’ Laws and I both joined the 2 MERCIAN after completing training at Army Training Regiment, Harrogate, and the Infantry Training Centre, Catterick. We deployed on Op HERRICK 10 on 11th May both not knowing quite what to expect. Robbie enjoyed his snooker and swimming. We used to talk a lot about our girlfriends back at home and how much we loved them; he was planning to take his girlfriend to Paris when the tour was over. Robbie was like a brother to me and we always looked out for each other, we shared many stories and laughter together. I will never forget the smile he always had on his face. Robbie, you were a pleasure to train and work alongside and I am proud to say you were my friend. My heart goes out to your family, friends and that beautiful girlfriend of yours. May you rest in peace Robert Laws. I first met Robbie when we were both at Army Foundation College, Harrogate. Our friendship grew even closer when we found out we were going to the same regiment and then the same battalion. Robbie was a great person to be around and certainly one of a kind. As we progressed through training we ended up in the same section and the same room. In the ten weeks we spent together there was some easy times and some hard times, but we overcame them. Robbie used to make the section laugh; whether it was him sleeping all the time, his giddy sense of humour or his random taste in music. As our time finished at Catterick we moved on to join the battalion. Robert and I, together with another close friend Daniel, bonded as three in a huge way. We had some fun times and we were good mates and he will be deeply missed. I send my deepest sympathies to his family and friends at home. I am very sorry. I remember when Robbie was seven years old. He was stood in the school playground by himself, a small shy lad reading a book. We became very good friends. We did everything together. We decided to join our local swimming team at the age of 13 and from then on you could see that he was a talented swimmer. At the age of 16 we both went to the Army Foundation Centre in Harrogate and went on a trip to Malta with the army swimming team. My best memory of him has to be when we both brought Hallowe’en masks and went around Sliema in Malta asking people for pictures with them. Robbie was a true friend. He would always put his family and friends before himself even if that meant him going without or getting himself into trouble. The deaths of Lance Corporal David Dennis and Private Robert Laws were a desperately sad loss to their colleagues in Afghanistan, and indeed to the Armed Forces community. These two men were highly regarded by their comrades and commanders, and their deaths remind us of the ferocious conditions endured daily by our soldiers in Afghanistan, and the great gravity of what we are doing there. My deepest sympathies are with these two grieving families.